Are you ready to make the move to Windows 8.1? Reviews says that with Windows 8.1, Microsoft made some significant improvements, including restoring the much-missed start button. Make sure that your upgrade experience goes smoothly by installing avast! 2014 first. Avast! 2014 has Windows 8.1 certification which ensures that it meets compatibility standards and performs well on the Windows platform. Older versions of avast! 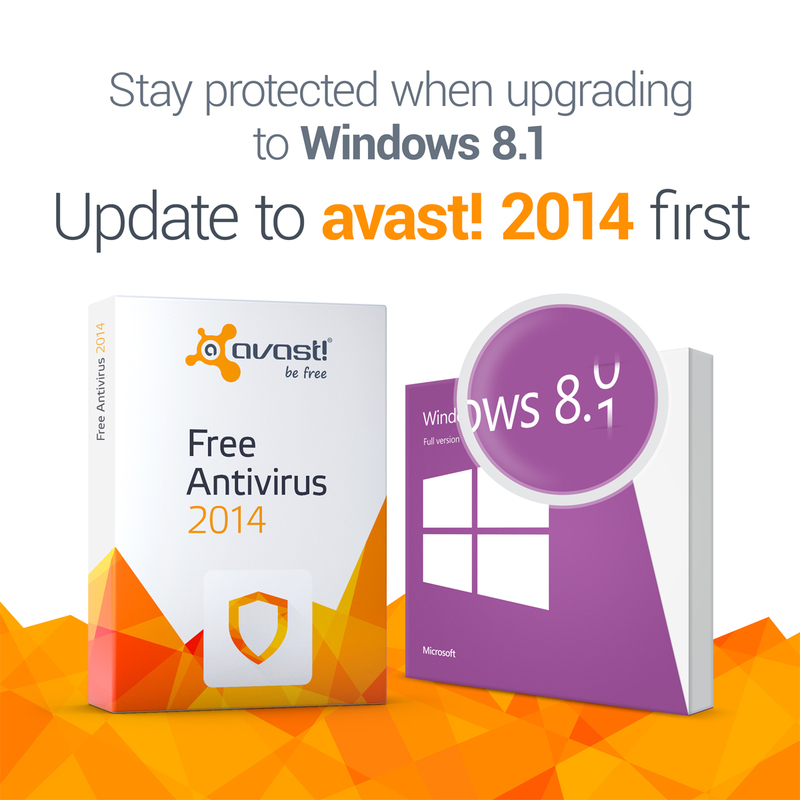 Antivirus do not carry that certification, so if you update to Windows 8.1, it will disable avast! and you will be unprotected. When it's done, you will be asked to restart your computer. Click 'Yes' to reboot. Once your computer is restarted, you might be asked to install Google Chrome as your default browser. We recommend this safe browser, but you have the option to decline. Click 'Continue' to complete the upgrade. After this, the latest version of avast! Antivirus 2014 is installed on your computer and ready to use. You can now make the upgrade to Windows 8.1 and remain protected.